✂ EPS File – For Adobe Illustrator, Inkspace, Corel Draw. ✂ PNG File – 300dpi High Resolution. Life is always open for truck drivers. There’s no feeling like drinking a cold one and driving a truck. Well, not at the same time. The feeling you get from driving a truck is something that is truly overwhelming. 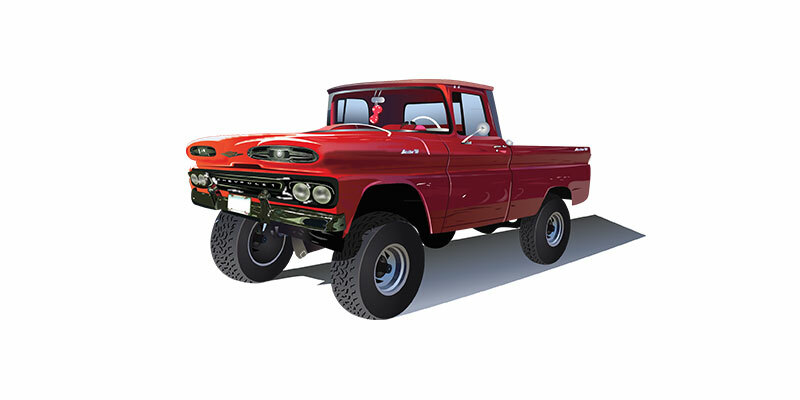 That’s what this Red Truck Free Vector Design showcases; it’s an ideal choice for truck drivers or anyone who loves and adores driving trucks to have it printed over their jackets, or onto their vehicles.